Allmould Plastics has the capability to produce rapid plastic prototypes for you to test your products prior to investing in moulds. As a company we provide you with quality precision prototypes using the latest technology in Rapid Prototyping and Colour 3D Printing methods. Rapid Prototyping is a process to build physical parts directly from Computer Aided Design (CAD) data. This process is based on additive manufacturing technique, meaning a 3D object is created by bonding thin slices of material layer by layer. Finished prototype parts can be painted, machined or drilled. Rapid prototypes produced using this method are as life-like as the final manufactured items so sizing, quality and functionality can be accurately tested. 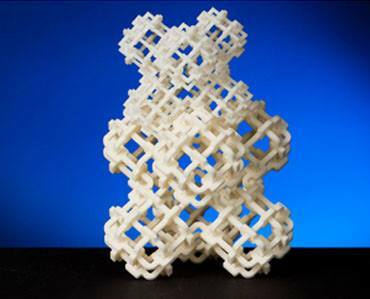 Anything from one-off prototypes to a quantity or 20 parts can be economically manufactured. The most cost effective quantity will depend on the part size and number of different individual parts required. Whatever your requirements, let Allmould Plastics provide you with the solution to keep you ahead of your competitors. Please do not hesitate to contact our helpful team if you have any question or would like a quote. This prototype was completed by 3D prototyping to allow our customer to “feel the part” before investing in the tooling. 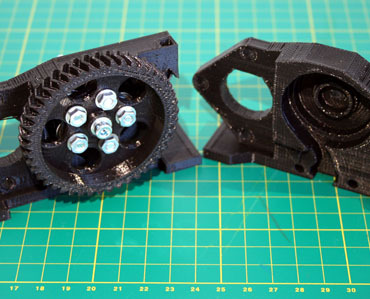 This image shows the absolute thorough detail that can be achieved through 3D Prototyping. 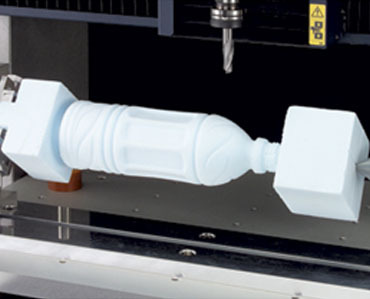 Above you see a 3D Bottle being machined to give the customer a real life sample before their investment of machinery, robotics and tooling. © Copyright 2018 Allmould Plastics. All Rights Reserved. Site by Sublimer.